I'm pretty sure this is an Eastern Water Skink (Eulamprus quoyii). If you know it's something else, please let me know! 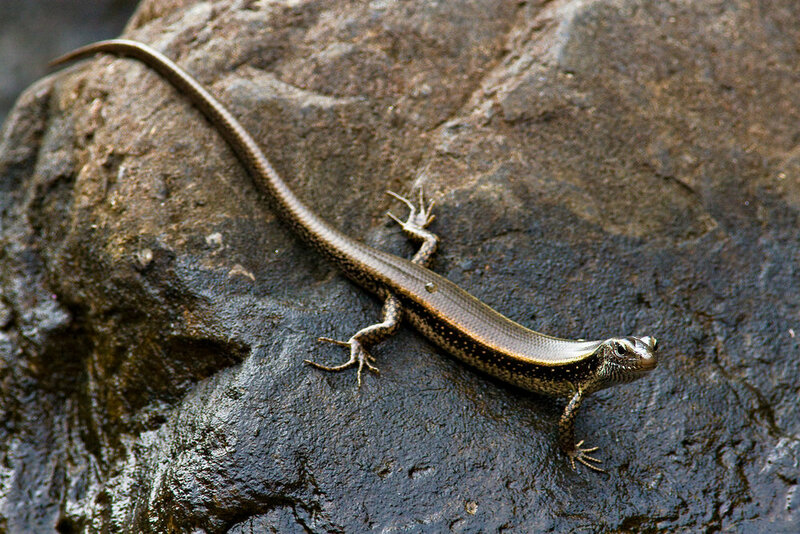 Shortly after this image was taken the Skink went for a swim - they swim very fast indeed. In case you are wondering the spot on it's back is a water droplet.